Try to squish your sibling with a door. First, you open the front door to let the sunlight in because it’s glorious. 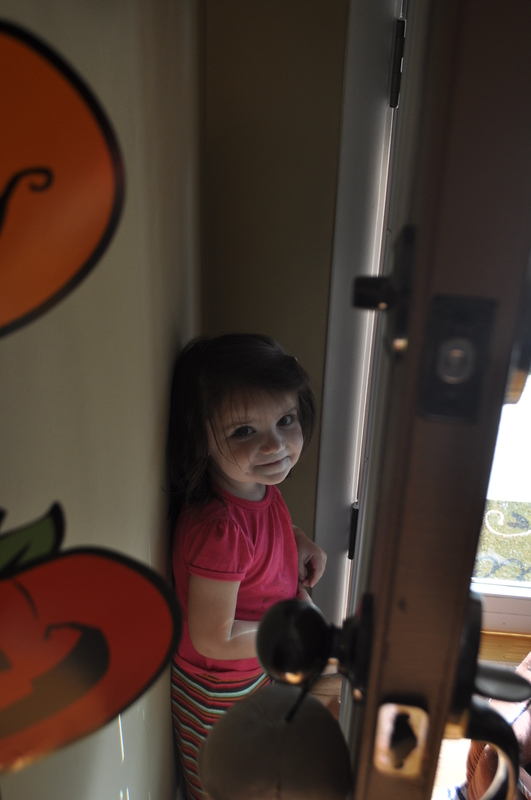 Then the brother traps his sister between the wall and the front door. 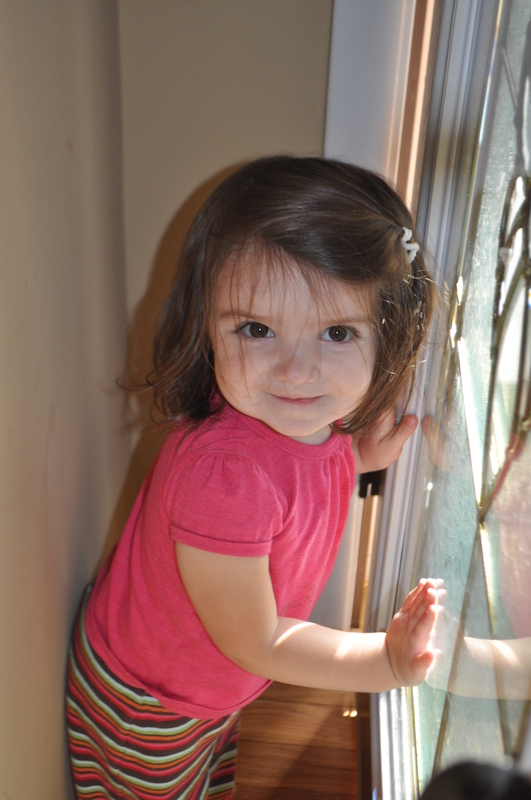 And then the sister traps her brother between the glass door and the front door. And they do that over and over again and it goes on for 30 minutes. 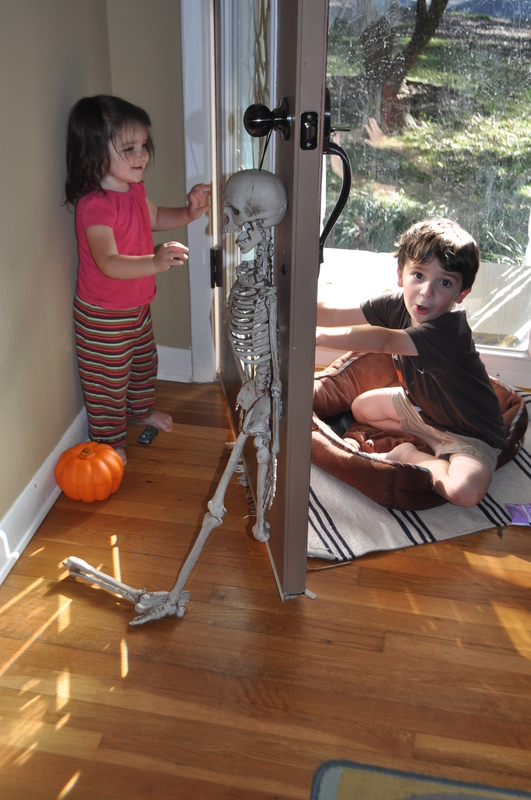 It helps if you have a skeleton that loses its leg hanging off your doorknob, but that’s optional. Tom cannot be trapped. He’s the big winner. Sitting in a dog bed. Winner cleans the glass door. 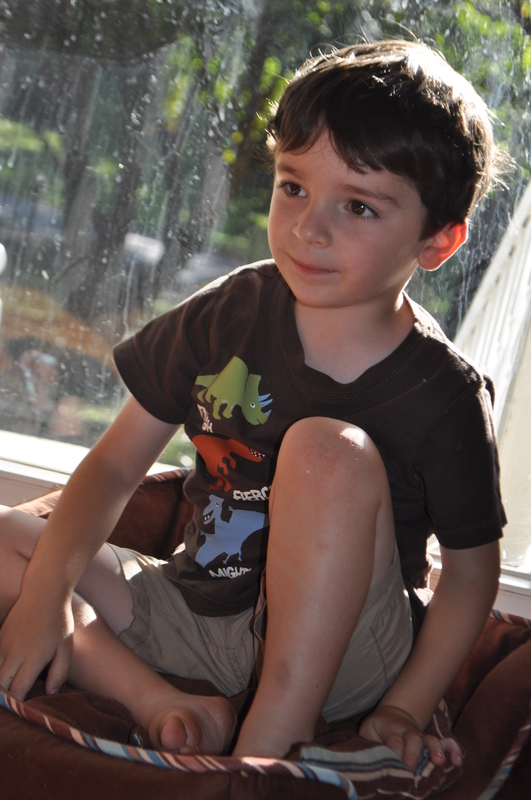 This entry was posted in Alice, Motherhood, Tom, Wordless. Bookmark the permalink.